Brass is one of the most popular metals used in Indian households. 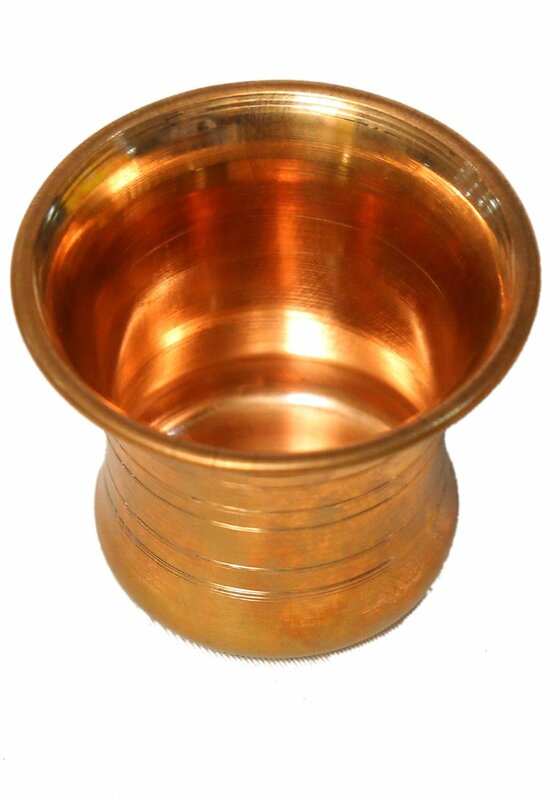 The bright golden hue, sturdy looks and durability makes brass pooja accessories so much in use these days. This metal is considered to have cosmic qualities related to creativity, charisma, beauty and harmony. So bring these 5 brass pooja accessories home to give an aesthetic look to your pooja ghar. Charan Amrit or the water which is offered to the Gods and Goddesses during pooja and later to the devotees is an integral part of Indian pooja rituals. The panchapatra is a set of a small pot with a spoon which is placed in front of the deities during pooja. Offering prayers is just enough in Vedic pooja, the Hindu Gods and Goddesses are offered sweets, flowers and water during the pooja. So a brass pooja thali is a must in any Indian household. While some of the pooja thali are plain and solid, others are finely carved and designed. The spiritual ambience of your pooja ghar is enhanced by the soulful sounds of the pooja bells. While the small bells are apt for regular use, there are some special bells available which can be hung from the ceiling. 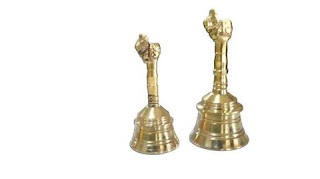 The bells come with an antique look, perfectly polished and sometimes embossed with OM or Swastik symbol. During festivities use ghanti or brass bells with brass figures; this kind of bell is extremely eye catching and appealing. You can even keep these colourful bells as home décor. 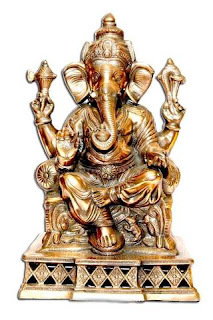 Brass idols are immensely popular for the exquisite looks of the idols. The golden hued Lord Ganesha, Dasavathara 10 Avathara's of Lord Vishnu and Lord Krishna idol are some of the most bought deities. 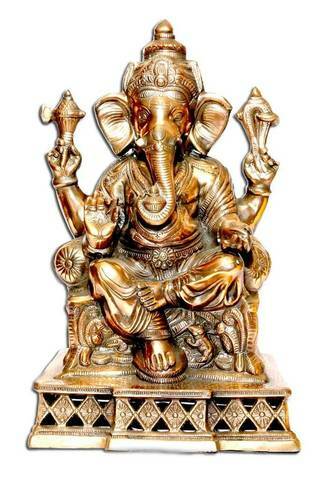 Brass idols add a spark to the pooja ghar, living room or office. The statues are handcrafted and finely carved. These lovely brass sculptures create a traditional ambience and offers a natural feel to the home or office. Diya or oil lamp creates a divine aura in your home or office. The oil lamps available these days are fine pieces of Indian artistry; the peacock brass diya oil lamp is one of the most common types which you can find at inauguration ceremonies. The deepam kundhu, diya or deepam with Swastik brass plate are majorly used to welcome guests. 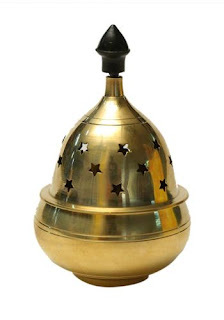 Modern day brass oil lamps come with a lid and hence can be even used at open spaces or under the fan. As Diwali celebration is incomplete without oil lamps, a brass diya is considered to be a great gift on the occasion. The brass incense stick holders and haldi boxes are some other pooja accessories which completes the look of your pooja ghar. There are complete thali pack available which contains an oil lamp, a bell, a roli/ kumkuma katori, an incense stick holder, a panchamrut set with a spoon. So get a set today to gift your loved ones on special occasions or to re-vamp the look of your pooja ghar.